I imagine that like many people who don’t watch martial arts movies, this is our only association of South Korean pop star Rain. Rain may be the modern-day equivalent to the greatest Hollywood stars of the classic era. His fame outranks any American movie star of the moment and it seems to only be growing. In Ninja Assassin, Rain plays some sort of disillusioned assassin who is seeking revenge against his mentor, played by Sho Kosugi. 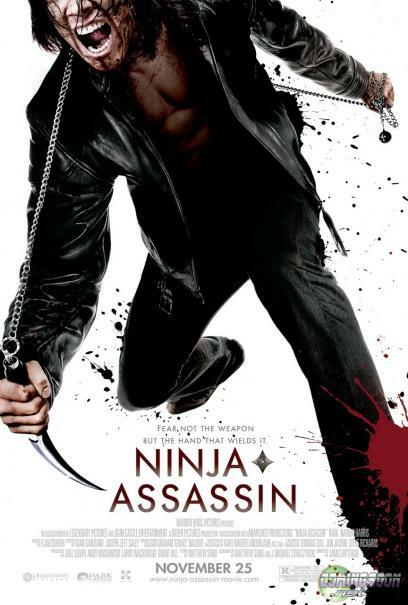 But Ninja Assassin was incredibly violent and gory to the point that it was kitschy in a bad and uninspired way. The movie (rightfully) depends on Rain’s star power. As a result some of the fight scenes (ahem, most of the fight scenes) are just a glorification of Rain’s physique. While I’m one to ogle, this doesn’t appeal to me. I guess if Ninja Assassin is the kind of movie you enjoy no matter what, then it’s fine. I’m sure there are martial arts films that are more universally appealing. I just don’t know them.